In January of 2017, I was about at my peak when it came to impatience. Deep down I knew God's timing is perfect, but I didn't know how to implement that belief into my daily life. Ultimately, trust and patience go hand-in-hand – you can't have one without the other – so that was the month I really got into daily prayer journaling. Then, if you've been following along for awhile, you may remember my 2018 New Year's resolutions post where I listed practicing patience as my third goal for the year. While I had learned the heart behind the virtue, I felt it was time to put it into practice. Some people's lack of punctuality was probably the hardest for me to get over, but it ended up being a year that I actively tried to find joy in the waiting period. I believe I was fairly successful, which leads me to today in 2019! While I can still get annoyed, I no longer allow the little things to the bother me, and it has been proven to me time and time again that God's timing truly is perfect. If you asked me right now, I'd say cooking is my only serious struggle with patience haha! 1. Be mindful of your reactions to impatience. It's so easy to quickly get annoyed and short tempered with people who aren't necessarily conforming to your expectations, but even if it's a complete lie, try saying something positive or comforting in those situations rather than a snarky comment. In my case, it eventually led to my attitude being more positive and genuinely understanding. 2. Only worry about what you can control. A game changer for me was learning to stress solely on the things I alone have complete control over. 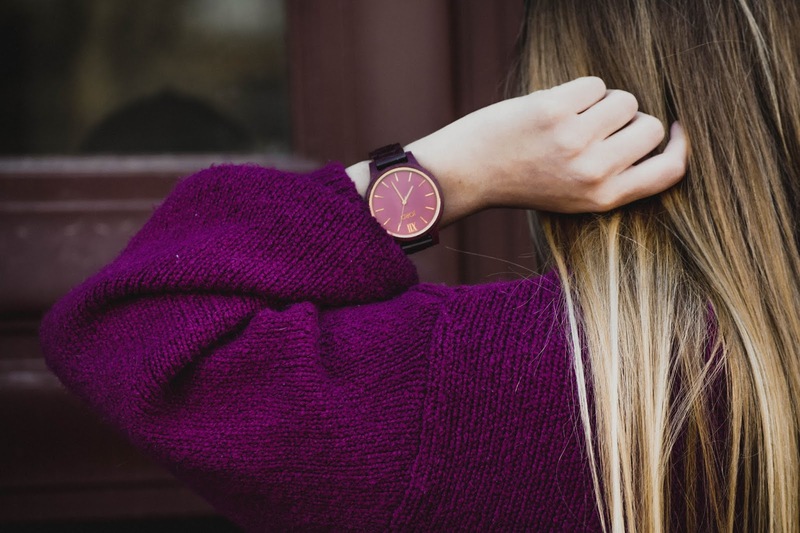 I've especially enjoyed staying on top of my productivity and time management with cute accessories like this stunning wood watch from JORD. The purpleheart wood creates the cutest pop of color, and the minimalist design aligns with the simplicity necessary to streamline your life! 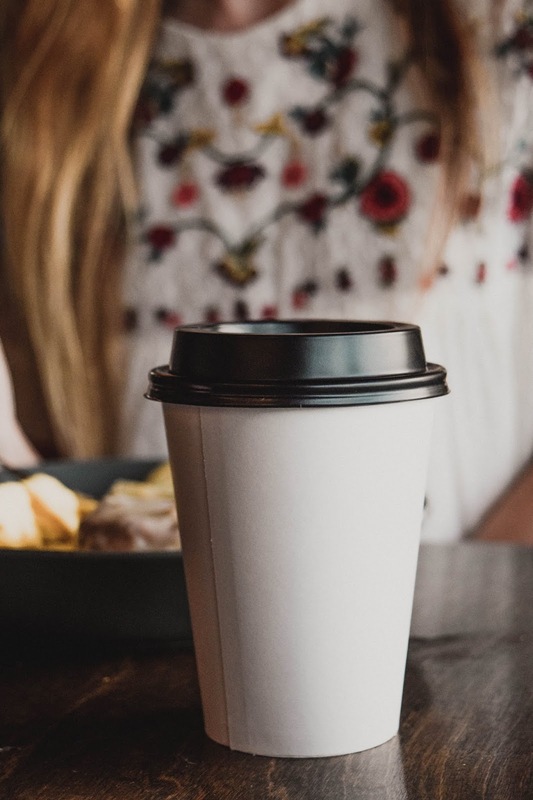 JORD is also a brand that heavily focuses on sustainability, and with the unfortunate abundance of fast fashion, I love supporting brands that environmentally conscious. Just make sure you're not checking your watch constantly to monitor others' shortcomings; I'm sure I wasn't the only one who used to watch the clock after sending a text or waiting to be picked up haha! 3. Pray and read with the intention to learn something. This is one of the reasons I love having a journal on hand at all times. Whether or not I initially feel inspired or connected to a chapter at first, I write and reflect on what I just read. 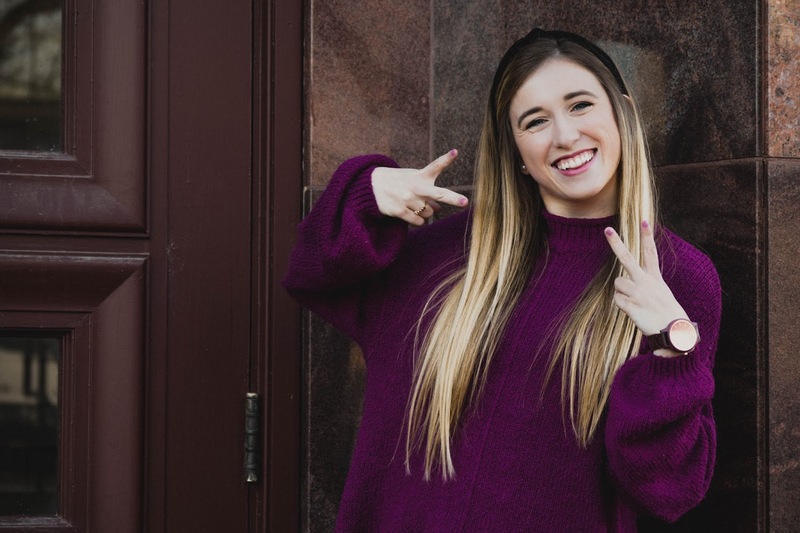 Nine times out of ten, I end up taking away a valuable lesson that wasn't readily apparent; I just need to give myself the time to thoroughly pick through my thoughts! I hope my four tips were helpful and that you can apply at least one of them to help bring more optimism and patience into your life! Before I check out for the day, I also wanted to share with y'all the deets on my outfit. This balloon sleeve sweater has been my absolute favorite this winter. 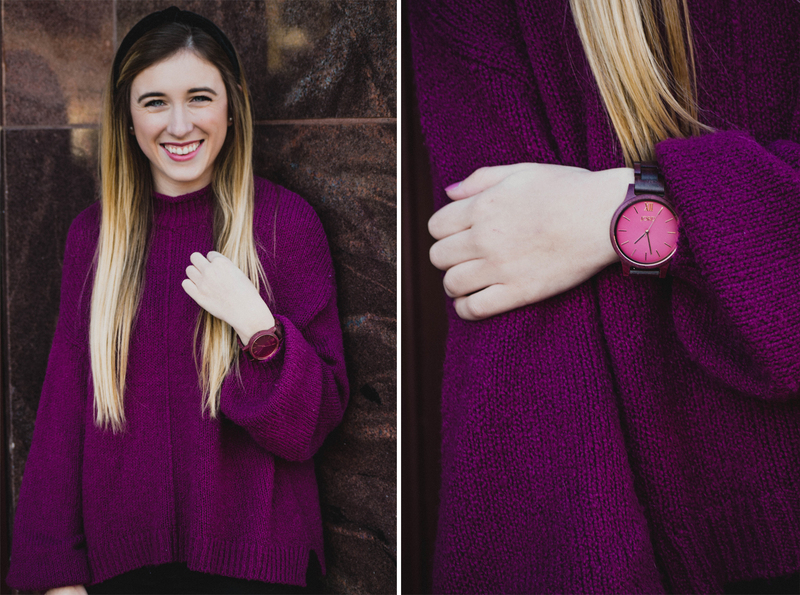 The fit is so flattering, and the pop of pink is so fun for the dreary, cold months! 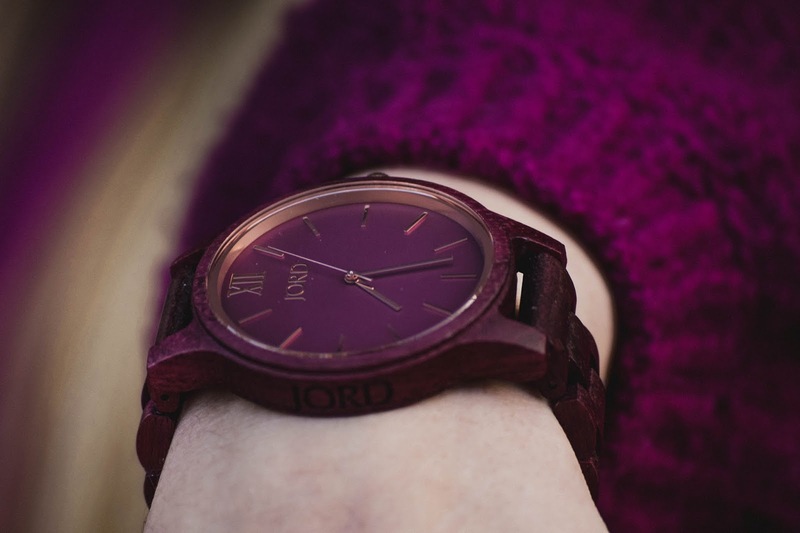 I then paired it with this gorgeous watch from JORD to create a trendy, monochromatic touch. Plus, with Valentine's Day right around the corner, the color of the wood creates the perfect pink-on-pink look! Finally, I super excited to share with y'all an amazing giveaway! 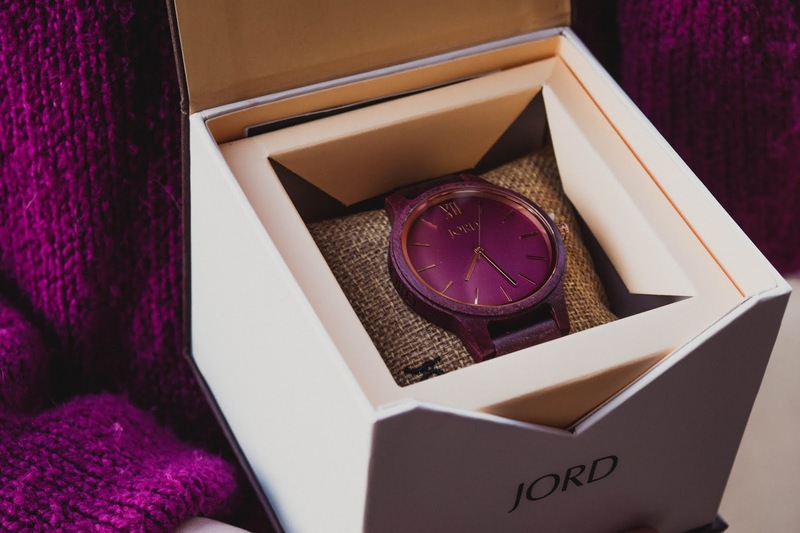 JORD is super generous and is not only offering $100 off one of their watches to the winner but also a 10% discount to everyone that enters! 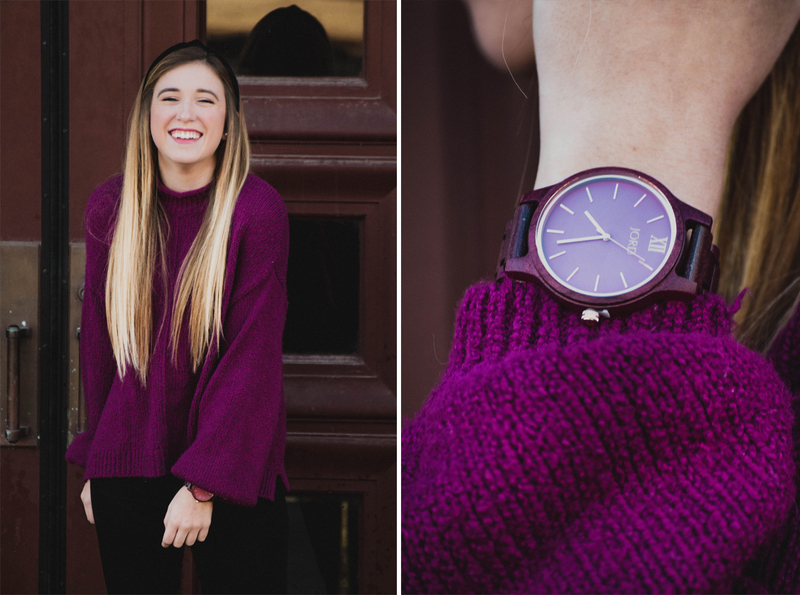 So, not only could you get my fabulous watch for one heck of a deal, but you can also shop the wide variety of other unique styles they produce. The giveaway will be open for one month, and at the conclusion, the winner will receive an email with their discount. I'm super excited, and I hope y'all are, too! You can enter the giveaway HERE.